For my father’s 50th birthday, I decided not to buy the usual cake from Red Ribbon or Goldilocks and I chose another food that is unique and never had been eaten by my family. Thus I chose to buy Dolor’s sapin sapin. I first tasted Dolor’s sapin sapin in an office event. Actually, someone always buy a Dolor’s sapin sapin whenever there are celebrations in our office. Dolor’s sapin sapin is delicious and I always come back to the table for more. The sad thing is that my officemates also like the sapin sapin, making second helpings impossible. What is Sapin – Sapin? Sapin sapin is a Philippine dessert that is usually placed on a “bilao” (circular bamboo tray) and consists of different kinds of kakanin (rice cakes) and other Philippine native desserts. 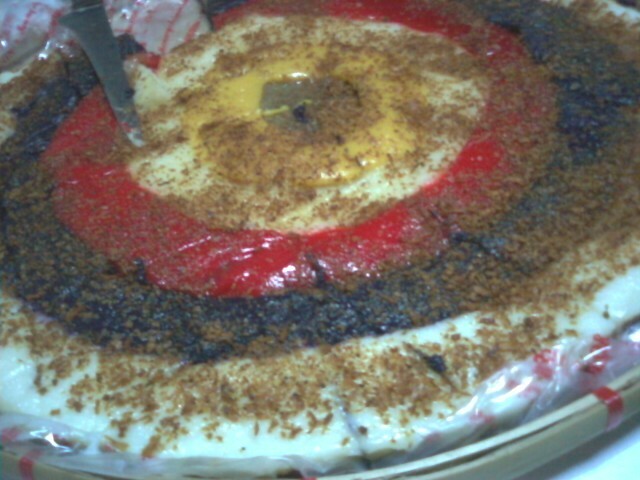 Dolor’s sapin sapin is arranged like a large dartboard and composed of ube halaya, malagkit, a chewy part (the red portion of the sapin sapin) that is like kutsinta, and many more. The parts of Dolor’s sapin sapin that I liked the most is the part on the edge of the sapin sapin (the white portion) and the ube halaya (the violet colored part). Many bloggers are all thumbs up for this delicacy and they are not wrong. 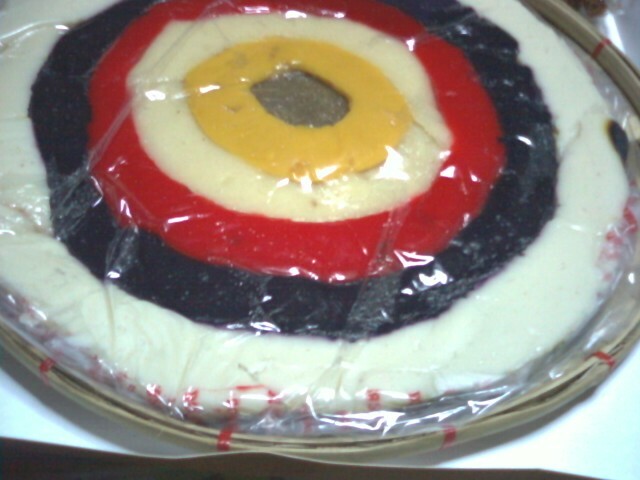 Dolor’s sapin sapin is the best sapin sapin that I ever tasted. Some even said that the demand for Dolor’s sapin sapin is very high during the Christmas Season that many people did not get the chance to have on “bilao” of sapin sapin for the Noche Buena and Media Noche. During the non-holiday season, people buy Dolor’s sapin sapin as pasalubong for their loved ones. The delicious sapin sapin is made by Dolor’s Kakanin in Malabon City. The food shop also sells other kakanin like puto and kutsinta. Dolor’s sapin sapin were already famous for years, especially in Malabon, that’s why it is not surprising that many shops offer this yummy treat. Where and to Buy Dolor’s Sapin Sapin? 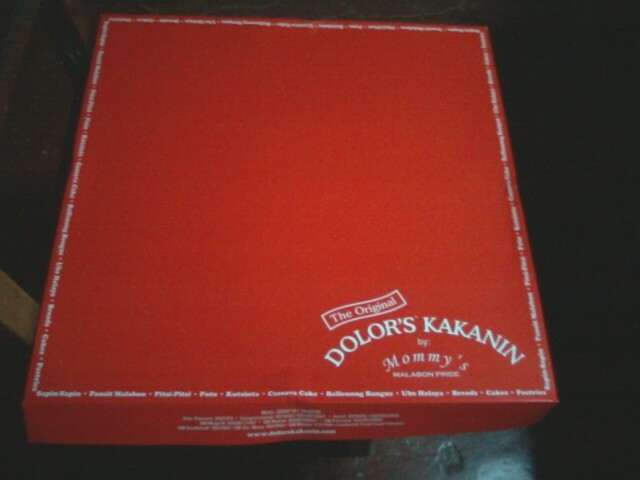 There are many shops that sell Dolor’s sapin sapin. The main branch and the original shop of Dolor’s are located in Malabon. The main distributor of Dolor’s delicacies is “Mommy’s Malabon Pride,” which have various branches in Metro Manila. Mommy’s is owned by the daughter of the owner of Dolor’s. Their branches are located near Monument, along Congressional Avenue in Quezon City, and Sucat near Bicutan Exit. Dolor’s Main Branch’s address is: 19 Governor Pascual Avenue, Concepcion , Malabon City with telephone number: 282-0071. Another branch is at 79 Mc-Arthur Hi-way, Barangay 078, Caloocan City with telephone number 332-0227 or 332-0228. Another shop that sells Dolor’s products is the Sapin Sapin sa Banawe that is owned by a relative of the owner of Dolor’s. If you decided to look for this shop to buy Dolor’s product, I suggest that you go before 5:00 PM because this shop closes early. Never go to this shop during the night. The address of Sapin Sapin sa Banawe is: 575 Banawe Ave., Corner N.S. Amoranto St., Quezon City, with telephone number: 743-7947. SM Hypermart is another distributor of Dolor’s. Dolor’s sapin sapin and other kakanin could be brought from SM Hypermarkets, specifically at SM Santa Mesa in Manila. How to Buy Dolor’s Sapin Sapin? I suggest that you call first the shop where you will but the sapin sapin before actually going to the shop. You could inquire if the sapin sapin is available and you could also place a reservation for the sapin sapin that you will buy. Only Mommy’s Malabon Pride has reservation and I do not know about other distributors. There is no reservation fee so that placing a reservation will not hurt your pocket. Be reminded that you should be at shop by 6:00 PM or your reservation will be waived. Reservation is recommended, especially during Christmas Season. Dolor’s sapin sapin is truly delicious and the reviews of other bloggers are right. The tag price of this delicacy is not bad, compared with the cakes of Red Ribbon and Goldilocks, because the sapin sapin is not only delicious but also heavy in the stomach. In our home, it took about two days before we eaten all of the 17-inch sapin – sapin. For the taste and affordability, I give Dolor’s sapin sapin two thumbs up.